If you're spent anytime over here, or on my Instagram since the New Year, you would know that we've done a complete 180º in terms of the types of foods we're making and consuming, and that our major goal is to just fill ourselves with nutritious foods so that we feel good from the inside out. 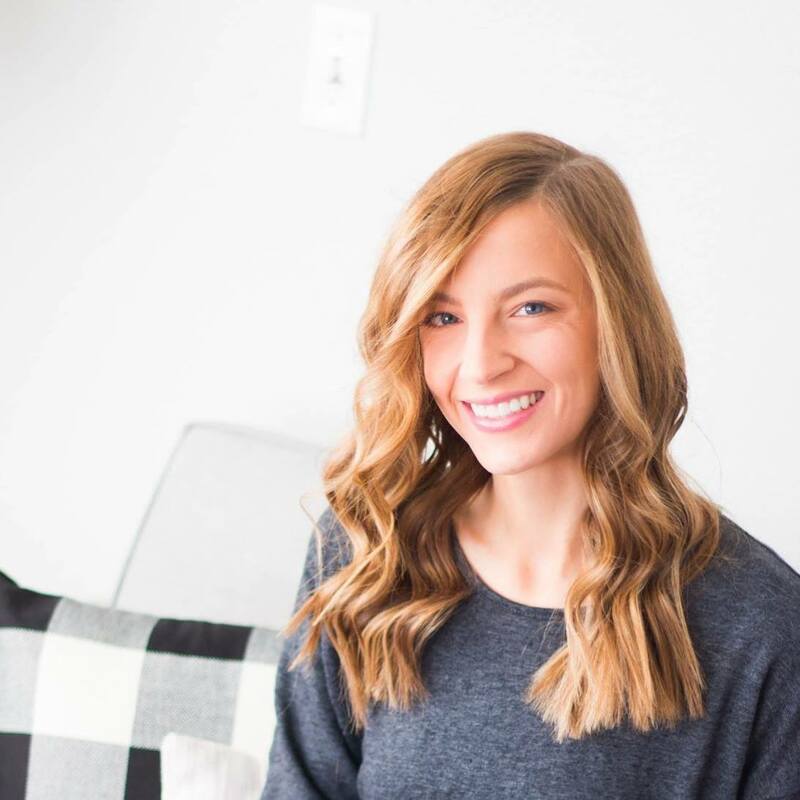 Over the last year or so, I've been hearing about all the major benefits of incorporating bone broth into your routine, and so I've been looking for ways that I can add it into my family's meals to give them a boost of nutrients. At only 50-60 calories per serving, Kitchen Basics bone broth has 10g of protein per 8.25 ounces, which is 20% of the daily recommendation. 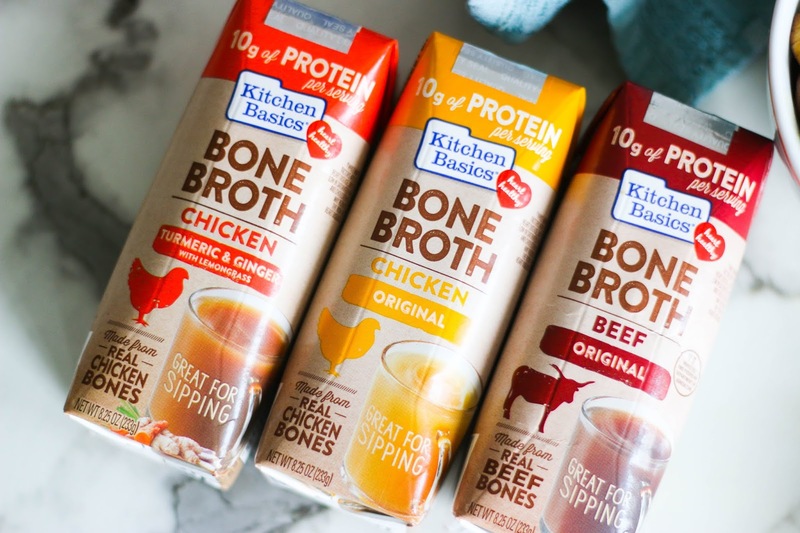 Made from real bones and organic vegetables, Kitchen Basics bone broth has a richer and bolder flavor than other traditional broths, and it's the only brand certified "heart healthy" by the American Heart Association. 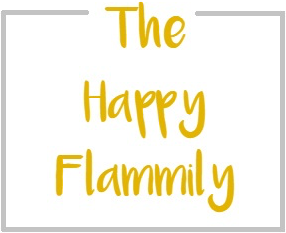 With all these benefits, it's easy to see why someone would want to add this to their diet! 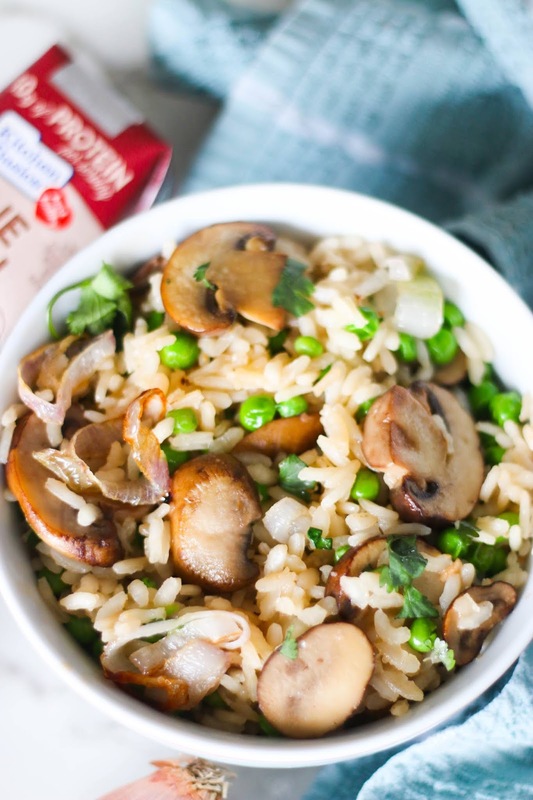 I made this mushroom and pea risotto the other night incorporating the Kitchen Basics Beef Bone Broth from some added flavor and protein, and it was a huge hit with the kids. You could easily change up the flavor though by using either the Chicken or Chicken with Turmeric & Ginger bone broths to give your dinner a different depth and taste. 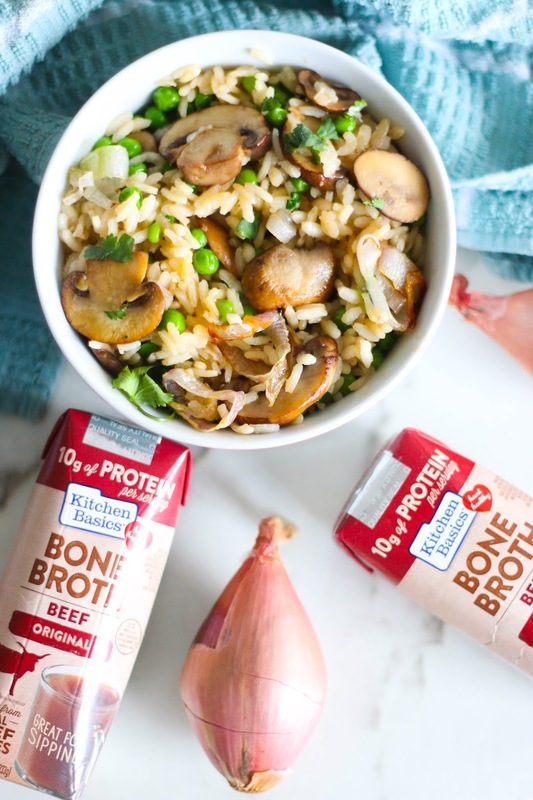 Ordering Kitchen Basics bone broth has never been easier. Simply log into Amazon with your Amazon Prime account and use your two day shipping to have it sent directly to your door! I feel like I'm constantly forgetting things every time I go to the grocery store, so I love taking advantage of when I can have things shipped directly to my house! In a large pan on medium heat, toss in 1 tablespoon of oil, with the mushrooms, garlic, and salt, and allow to cook until the mushrooms have shrunk, and are tender and soft. Remove from skillet and set aside in a bowl until later. 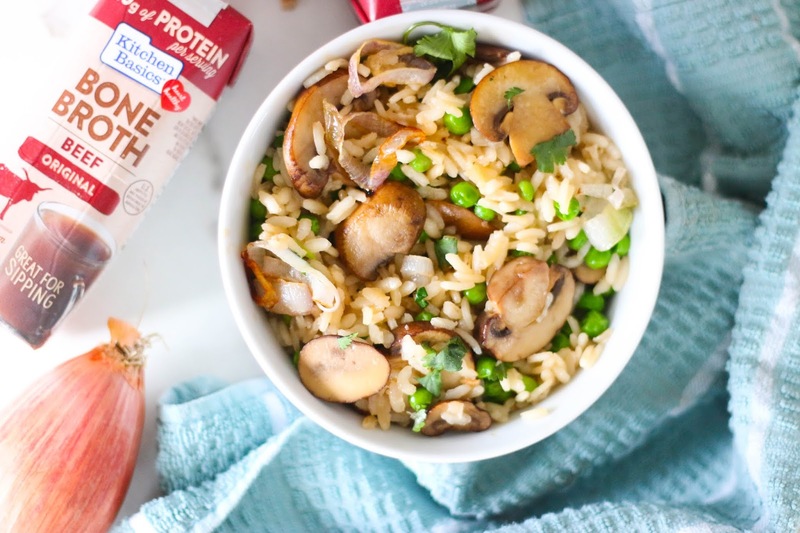 Pour your dry arborio rice into the pan, and toss it in the remaining oil and juices from the mushrooms. Allow the rice to toast for 2-3 minutes, until the edges become transparent. Over medium heat, add in one cup of broth at a time. Allowing each cup to reduce and be absorbed by the rice, and constantly stirring before adding in the next cup. Once you've used both cups of bone broth, then add in one cup of water at a time, using the same method. One cup at a time, stir and simmer until it's absorbed, and add in the next cup. 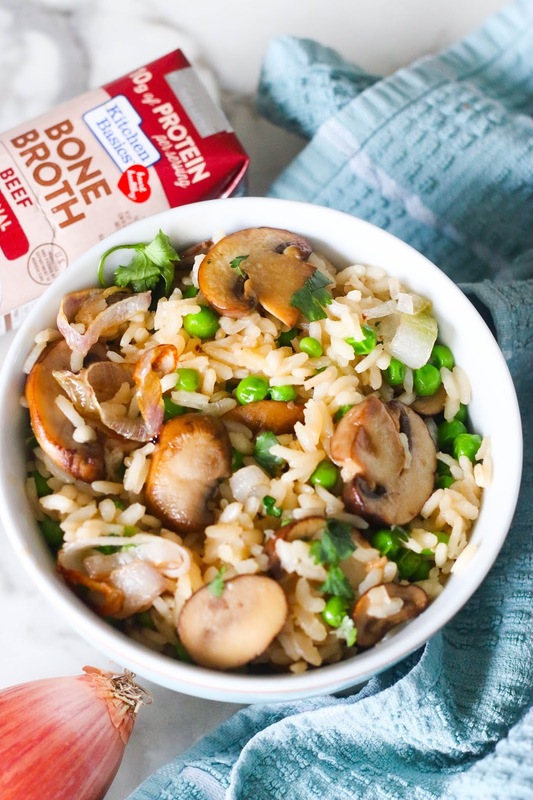 Once all the liquid is absorbed into the rice, and it's cooked to your desired tenderness, toss in the mushrooms and peas, and cook until the peas are warmed all the way through. Season with salt and pepper as desired, and serve immediately.